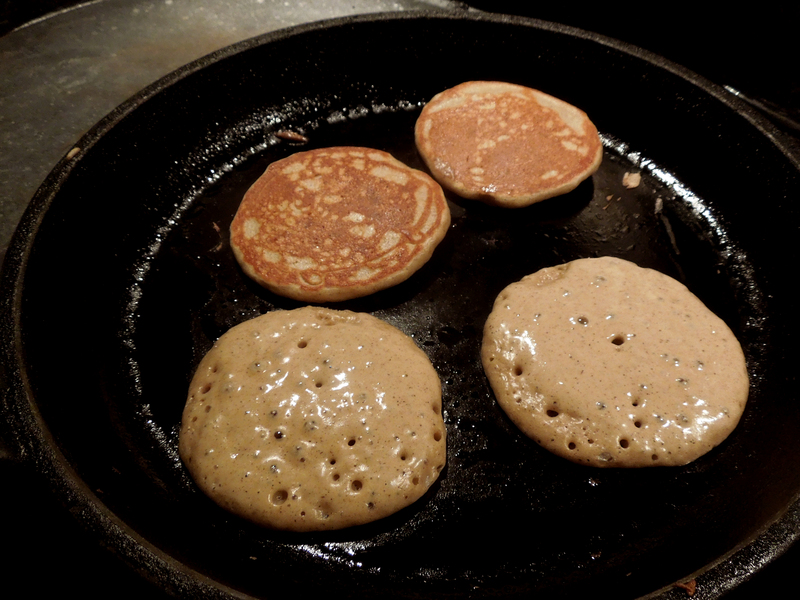 It’s Pancake Day next Tuesday and the perfect excuse to whip up a quick batter. I love pancakes. Last year we ate crepes stuffed and baked, American-style buttermilk pancakes smothered in maple syrup and Chinese pancakes crammed with crispy duck. That’s a lot of pancakes. 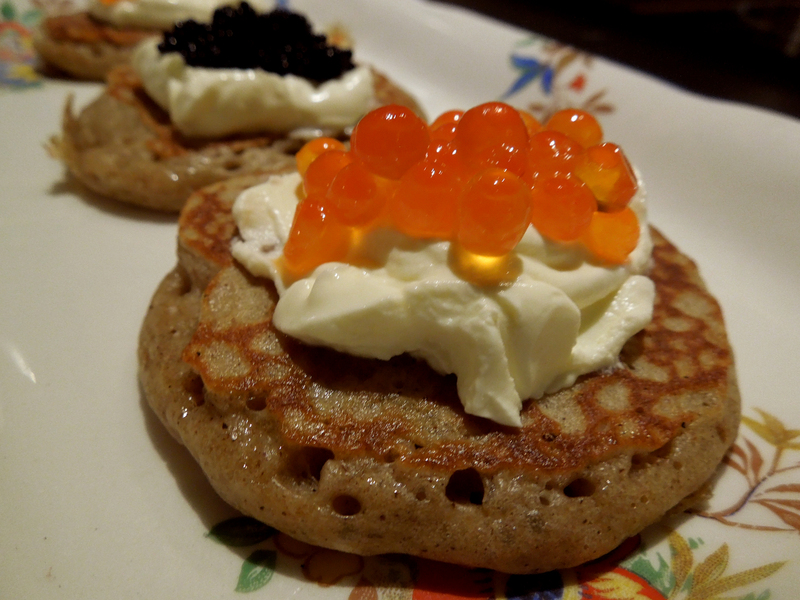 So this year I thought it was time to revisit the small but perfectly formed blini. 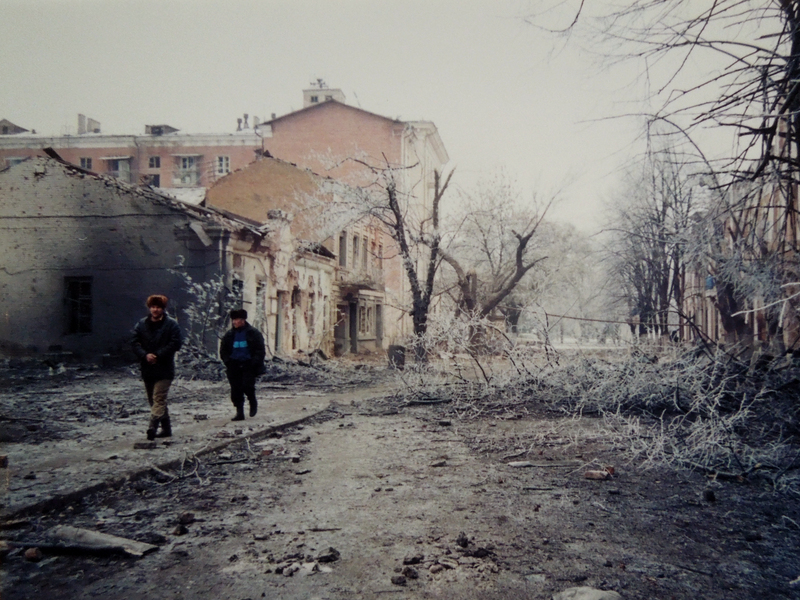 The most memorable blinis I ever ate were in Moscow, after a grim working visit as a journalist to Chechnya, reporting on a conflict that left thousands dead and the Chechen capital, Grosny, in ruins. 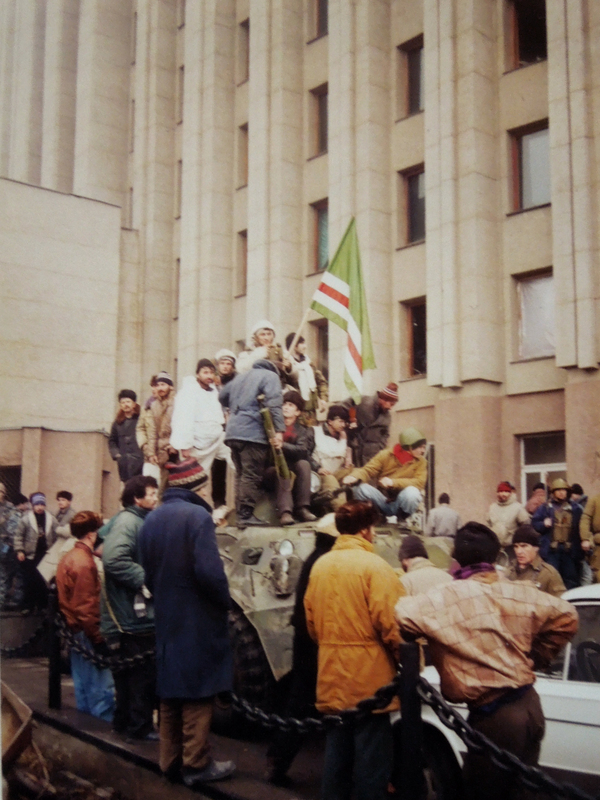 As reporters, we were the lucky ones because unlike the Chechens, we got to leave the war behind. But my sympathy for the civilian population didn’t stop me indulging in hot and cold running room service once I was safely back in Moscow. We’d been living in a refugee centre, eating army rations and with limited access to hot water, so I shut myself in my hotel room, ran the biggest, bubbliest bath I could and scrubbed and soaked myself until I looked like a pink prune. Then I ordered blinis and caviar and cracked open a split of champagne. It was bliss. I’ve tried several blini recipes over the years but I really like this one from Richard Bertinet. They’re in his book Crust, published by Kyle Books. They take a while to make but they’re worth the wait. You can always take a foamy, relaxing bath while the mixture rises and produces its own bubbles, because unlike most pancakes, blinis contain yeast. Richard Bertinet uses fresh yeast; as I didn’t have any I’ve taken the liberty of adapting his recipe to use fast action yeast. Richard has a great tip, too, based on his Breton grandma’s technique: to oil the pan before cooking, dip a cut potato into cooking oil and, holding it with a fork, rub it over the surface of the pan. He says, and he’s right, it gives you just the right thin film of oil. Combine the flours, salt and fast action yeast in a mixing bowl. Pour the milk into a pan and heat until it’s just at boiling point. Remove from the heat. 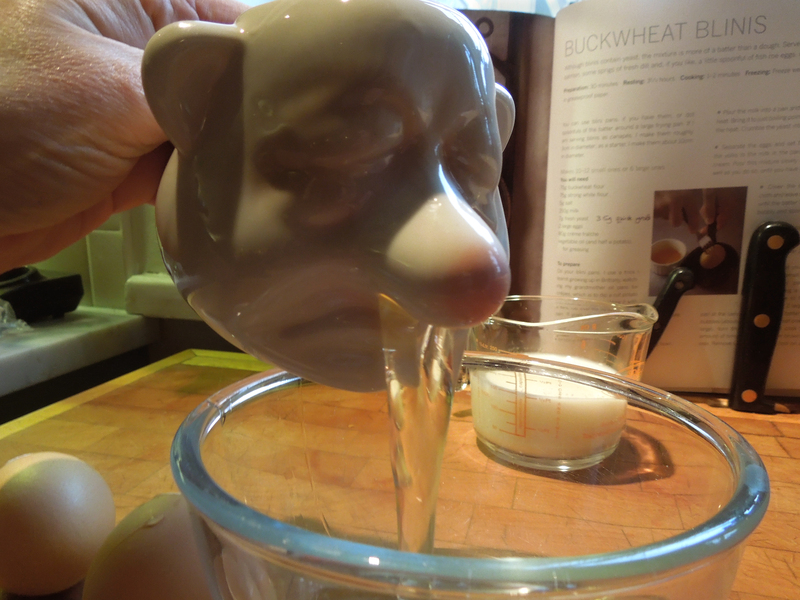 Separate the eggs, preferably using the bogeyman egg separator you’ve just been given for your birthday. Add the eggs yolks to the slightly cooled milk in the pan, along with the crème fraîche. Pour this mixture slowly into the flour, stirring well, until you have a thick batter. Cover the bowl with a clean tea towel and leave to rest for an hour and a half until the batter has risen and looks bubbly and spongy. Whisk the eggs whites to soft peaks and fold gently into the batter. Cover the bowl again and leave to rest for a further two hours. To cook, oil a frying pan (or several small blini pans if you have them) and heat it on the stove. Pour in small round puddles of batter and when they start to bubble (about 30 seconds for small blinis, one minute for bigger ones), turn them over and cook for the same amount of time until light golden brown on the other side. Remove from the pan and either leave to cool on a wire rack or eat warm with a dab of crème fraîche and a dollop of caviar, or smoked salmon and a sprig of fresh dill. You can also add finely chopped (boiled) egg white and sieved egg yolks to the topping, which is how mine were served in Moscow. 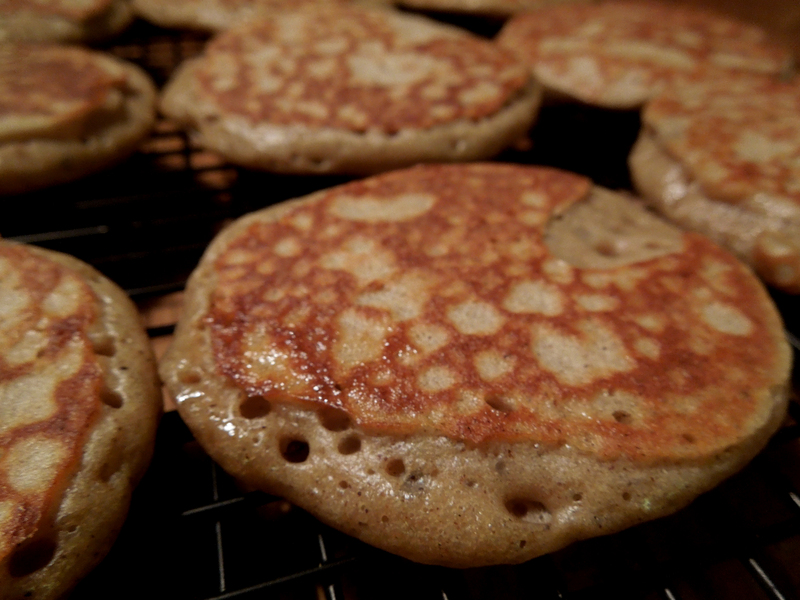 In the unlikely event you have any leftover blinis, they freeze well, cooked and wrapped in greaseproof paper. This entry was posted in Eggs and dairy, Soups, starters and canapes and tagged blini recipe, blinis, buckwheat pancakes, pancakes, Richard Bertinet, Shrove Tuesday by Linda Duffin. Bookmark the permalink. Great post Linda. I love hearing about your experiences as a Journalist. 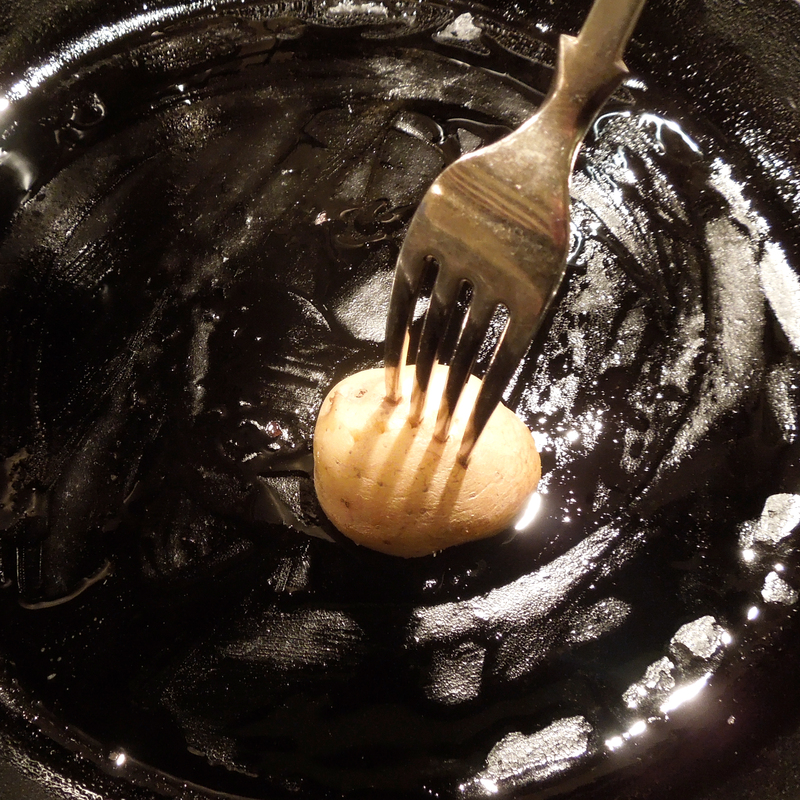 Using the cut potato to grease the pan is a brilliant tip – thanks! Thank you, Eva, much appreciated. The thanks for the cut potato tip should of course go to Richard’s grandma! All the best, Linda. I love the potato tip too. I shan’t be allowed to try anything but trad. British pancakes on Shrove Tuesday (grandchildren are SO traditional), but those blinis are definitely on the list for another time. I haven’t tried his kneading technique, must look it up, thanks for the tip. Love his books. Do you know, you’re the first person on any social media forum to comment on the bogeyman! It’s actually very efficient. And it makes me laugh. I didn’t realise what it was for when I saw it on FB. It’s genius! Thanks, Karen. It makes me laugh every time I look at it. Best present this year!